Dimensions 1.50 by 7.75 by 10 in. Amazon.com description: Product Description: Home is where the heart is . . . This book is very close to my heart. It's about no-nonsense, simple cooking with great flavors all year round. When I began writing it, I didn't really know what recipes I would come up with, but something began to inspire me very quickly . . . my vegetable patch! I came to realize last year that it's not always about looking out at the wider world for inspiration. Being at home, feeling relaxed and open, can also offer this. I love to spend time at home in the village where I grew up, working with the boss, Mother Nature, in my garden and seeing all my beautiful veggies coming out of the ground. 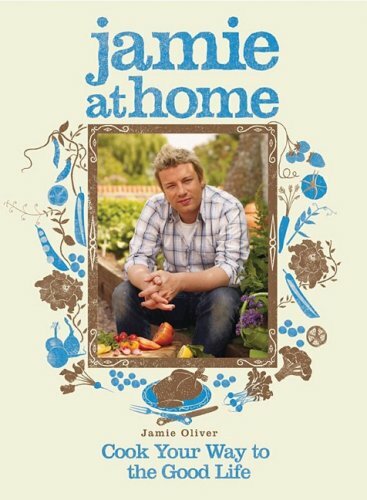 Inside you'll find over one hundred new recipes, plus some basic planting information and tips if you fancy having a go at getting your hands dirty as well! About: Home is where the heart is .